Are Wine Bloggers Killing Wine Journalism? I struggled with this month’s topic for the Monthly Wine Writing Challenge (#MWWC35)—a challenging topic (“Eclipse”), certainly, but it is often difficult assignments that cause one to reflect the most. As I embark on a trip to Bordeaux (and after having just returned from Sicily), I realize that I am fairly fortunate. I have been invited to some wonderful parts of the world and have tasted some magnificent wines because I write a wine blog with a rather silly title. I like to think that those experiences have come about from the attention that I afford my writing (as well as at least a modicum of talent), but perhaps that is just an effort to massage my already prodigious ego. Press trips generally take a familiar pattern: usually a handful of writers are shuttled around a region often to several different wineries in a day. The pace can vary, but inevitably a considerable amount of time spent in a van, chatting with the other writers to pass the time during the drive. While not the exact van on my first ever press trip (I was forbidden to take its picture), it is really, really close. I think ours was actually borrowed from a nearby prison. On my first few trips, the attendees were almost all bloggers—people like me, who did not write full-time; all had “real jobs” and blogged about wine as a hobby (with differing levels of commitment). More recently, for some reason, almost all my trips have been with professional writers, that is writers who depend upon their writing to pay their rent (along with everything else). While those van trips also include the same irreverent banter that defined those blogger-only trips, professional writers tend to talk much more about their craft—specifically the apparent never-ending quest to find paying gigs. Notice I did not say “good-paying” gigs—it seems to be difficult to find outlets that pay at all let alone well. In fact, I have been privy to many conversations where professional writers are looking for any type of situation that might help with their increasingly shrinking bottom line. That statement (more or less verbatim) was made by one free-lance writer to another, and between the two of them, they have been published in some fairly heady publications (Forbes, Wine Spectator, Wine Enthusiast, USA Today, Somm Journal, just to name a few). Had these been isolated incidents, I would have likely dismissed them as aberrations, peculiarities, unique to the personalities involved. But I have heard similar lamentations on each of my press trips for at least the last two years. Certainly, the steady decline of print media in general has played a significant role; outlets that once paid several dollars (or more) per word are now paying mere pennies on the dollar. With the increased interest in wine in the U.S., there has also, no doubt, been an increase in the number of players in the wine writing field. What role, though, have wine bloggers played in the demise of wine writing? Have bloggers eclipsed professional journalists in the collective mind of the public relation firms who are significant players in this sphere? Imagine you work for a PR firm and you are organizing a press trip, which of the following is more appealing to you? A blogger with a sizeable following and a noted social media presence. You can expect several tweets and Instagram posts, as well as multiple stories on his blog. Which one would you choose? For me at least, that is not an easy answer. With the freelance journalist, you might have a shot at a placement in a prestigious, or at least popular publication, but it is far from a guarantee. The blogger on the other hand is almost definitely going to put the product(s) in front of some eyeballs. So, here is my last question: Are bloggers, who are working for free (usually), taking work away from professional journalists and therefore, in at least some respects, contributing to the demise of wine journalism writ large? This entry was posted in #MWWC35, Monthly Wine Writing Challenge, Wine, Wine bloggers. Bookmark the permalink. 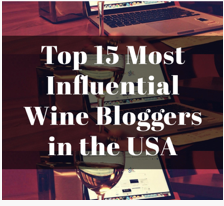 6 Responses to Are Wine Bloggers Killing Wine Journalism? Nice play on the theme, Jeff – I was unable to connect with the “eclipse” in any meaningful way… You might want to give it another week, hopefully there will be few other entries? This is very interesting … I’ve sat in those minibuses too, chatting and comparing notes with other people on wine trips. I’ve just left a very long career as a journo to become self-employed as a freelance wine writer (and running wine tastings). I’ve grafted many a long hour as a journo – I’ve been trained, all the boxes are ticked – likewise I’ve trained journos. Now I’m self-employed I see how difficult it is to make money around my craft (in a career about-turn I’m also studying the WSET diploma) when it is such an “active space”. There are people with social media followings who click the send buttons, to instantly hit the touchpoints for their audiences; and then there’s someone like me who is saying hey, I can write! I’m a professional! My wine column publishes in over 35 UK newspapers!! Audiences – ie people – get their information in so many ways now and I totally get it that sharing that information isn’t in the exclusive ownership of journos. There is such a wealth of content out there, the blogging / digital world has turned my old world of media upside down. Content will always be king and bloggers are now also serving up that content. I come across the term “influencer” all the time and people like me have to accept we share the content stage (and wine trips) with them. But there are some “influencers” who click that send button and don’t understand what they’re doing and why. They’re the ones who drive me mad, when I can see so many excellent writers / former colleagues out of work. It is harder for people like me to be heard – and employed. I’m new to freelance, I’m not new to grafting; I’m new to wondering / worrying where my next wage is coming from, I’m not new to cracking on and making the best of it. But you know what, it’s all about wine so what’s not to love. This summer I’ve been to Italy twice, I’m about to go to Bordeaux, then its a couple of Spain trips. Hashtag lucky. No money, but lucky. Very interesting follow up to some good conversations. Definitely food for thought. I’ve been paid for online and print pieces, although nothing related to wine, which is my passion. I don’t think it’s necessarily bloggers that are hurting the journalism industry, although when someone is willing to work for free it’s hard to argue with that. I think what is hurting journalism is the cheap, pay by article for 500 words that are SEO riddled that companies are seeking instead of real, quality writing. They want the cheapest bang for their buck, and the most hits online/social media. It seems quality depth doesn’t matter as much anymore. Most online writing jobs I come across are those types…and they only pay $2-5 per article. Hardly enough to make a living on, and personally it cheapens the quality of the writing. It’s saying that anyone can write as long as you can write English, have proper grammar, and can spit out 5-10 articles per week, and we’ll pay you pennies for it. I’d rather read an article in depth by someone who knows what they’re talking about, online or in print (I read both).